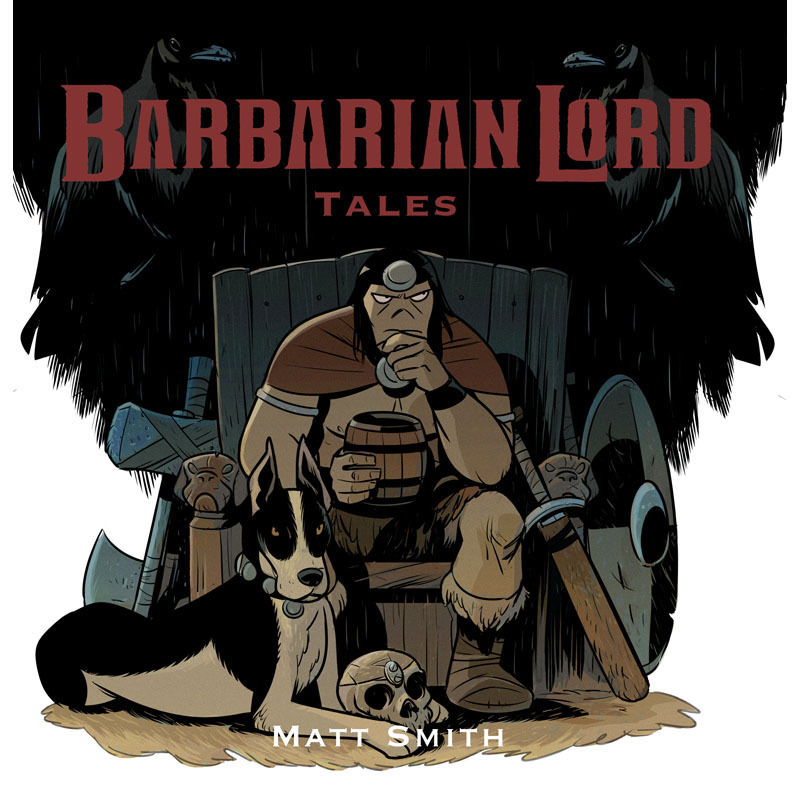 I’m a little hesitant to say that Barbarian Lord began as a joke and would cringe to hear it referred to as a mash-up, but the fact is that the character got his start as the pairing of two seemingly incongruous things - the unvarnished tone of the medieval Icelandic Sagas and the designs of 1980’s barbarian cartoons. 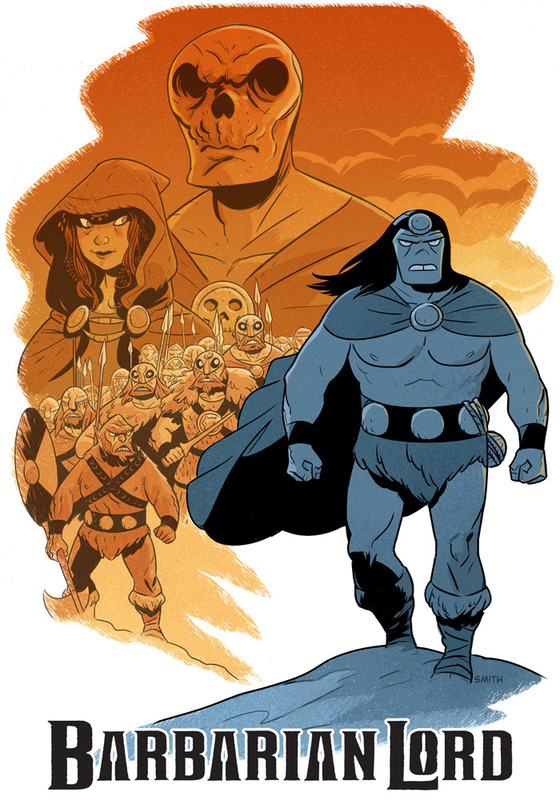 I suppose you could say he began as equal parts Egil Skallagrimsson and Thundarr the Barbarian. After a short run of one-page strips, I began to think that a larger story could take shape. 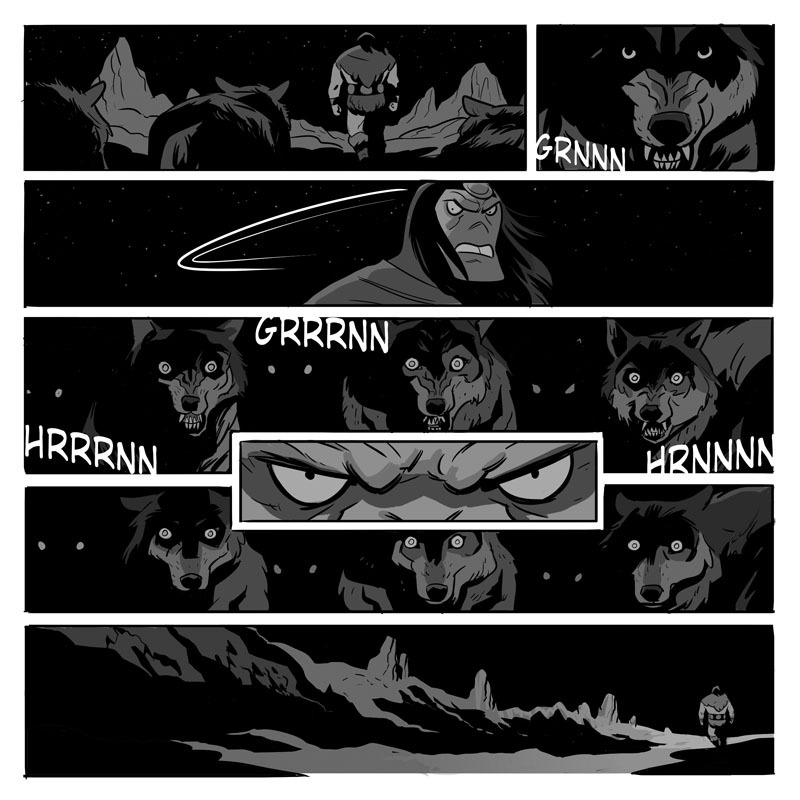 I had inspiration enough from countless years spent with Norse mythology, fantasy novels, comic books and heavy metal. I was ready to make something more out of this idea, a proper barbarian saga in it’s own right. Though the story developed much further than the initial “joke”, the original pair of disparate elements remained as two defining poles by which I kept the story in the right spirit -- a simplistic cartoonish skin enclosing a resolute and glowering heart. Since wrapping up the final page of the first full-length story, the ideas for Barbarian Lord have continued developing and the world he lives in broadens still. 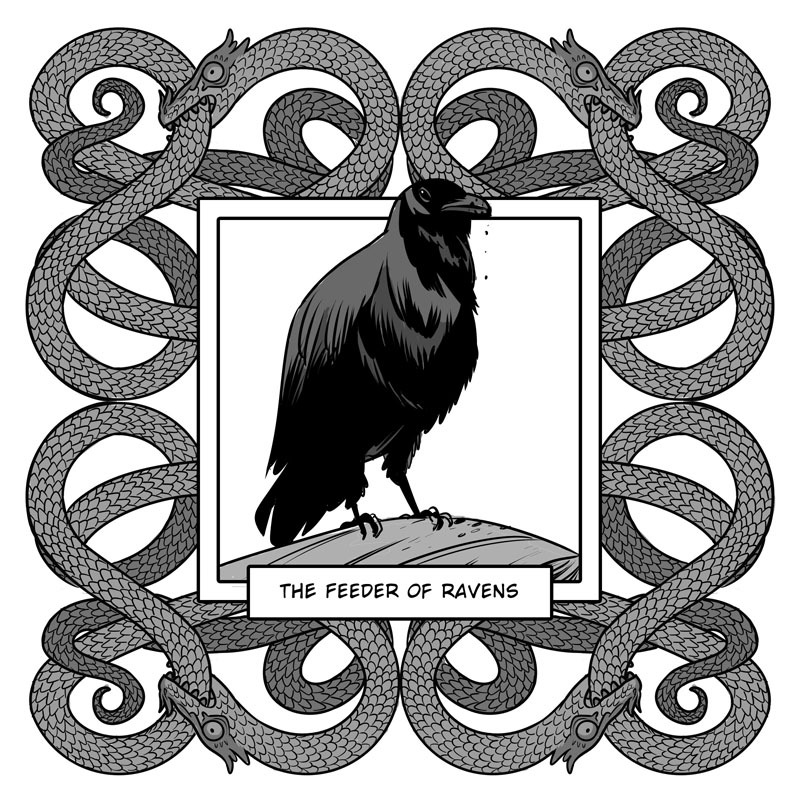 A gallery of interior art, prints and promotional images from the graphic novel and stand-alone single issues. The Books. 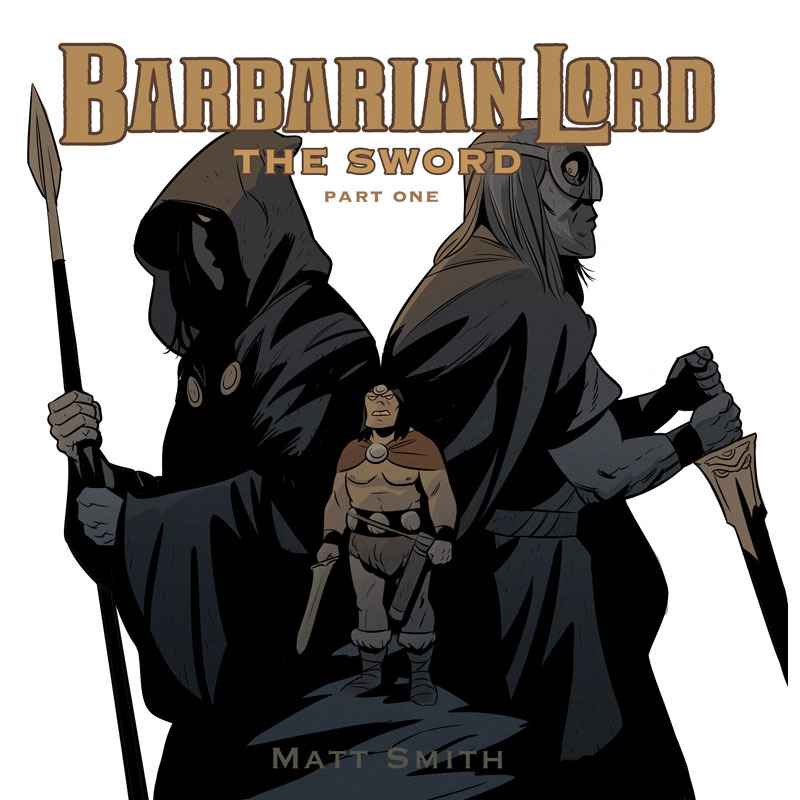 Currently Barbarian Lord exists in one 172 page graphic novel published by Clarion Books available here and 3 additional stand-alone comic books available directly from me. Animated video created by the mighty design chieftain at Standard-Design. "Onset of Ragnarok" from the mighty album "...to North" used with kind permission by King of Asgard and Metal Blade records.